Once again Easter is getting close and once again we food lovers start thinking all about those scrumptious recipes we enjoy cooking or baking, not to mention that divine moment we indulge in our work of art. Let's face it; it's not just us that enjoy this particular season, just like in Christmas even the people around us will be looking forward to see what they'll soon be dipping their fingers in. At Lamb Brand we never stop cooking and preparing recipes, so if you have a look at our website or facebook page you will surely be inspired to cook something. As an Easter treat this year we are making your life a bit easier; we have come up with a sample Easter Menu, so if you don't have any clue of what to start with or the time to browse around, just grab the menu from your mail box and your 3 course lunch will be ready in less than 3 hours - Yes we have already, or if not it will be soon, delivered a copy directly to every local household together with the Bargain Magazine. If you still didn't receive your copy you can easily download it from the following link. If on the other hand you are the more adventurous type and have plenty of time, we have also suggested some other great recipes which, along with many more cooking ideas, can be found on our website. It's Easter right ? and we cannot leave out the traditional Kwarezimal and Figolli which we all die for, recipes of these delicacies can also be found on both the sample menu or on the website. We all enjoy cooking and baking, but who enjoys washing the dishes later ? To help you forget about all those dishes we are giving you the chance to spoil yourself in a luxurious weekend break at the Grand Hotel Excelsior Floriana, are you up for it? 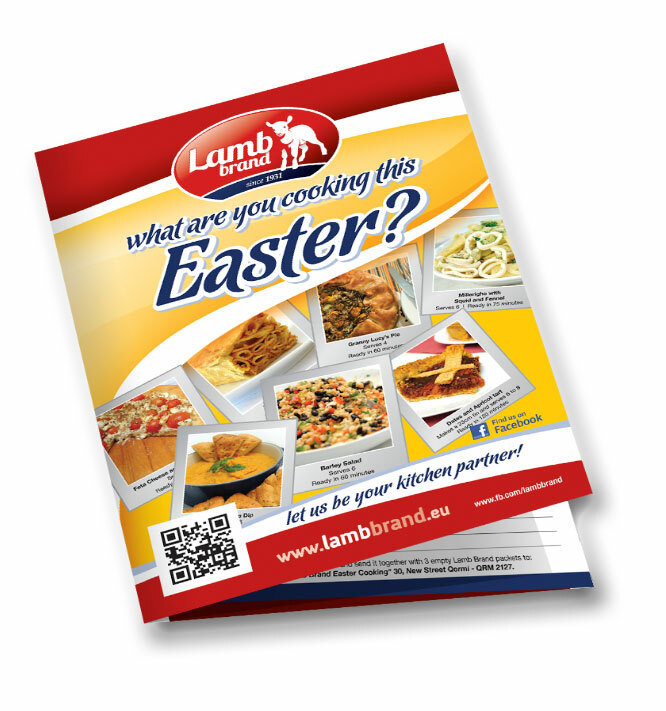 It's so easy, simply send us 3 empty Lamb Brand packets, together with the filled in token (found on the sample menu). The first 2 correct answers drawn up on Easter Monday, 1st of April 2013, no this is not an April fool joke, will win one of 2 weekend breaks for two. If you are a facebook user, we couldn't make it simpler, Like our page, fill in the details in the Promos tab and ask all your friends to participate to get in the chance to win as well. Also we would like to remind you to keep all your Lamb Brand empty packets, so that you can exchange them for great gifts, click here for more info.